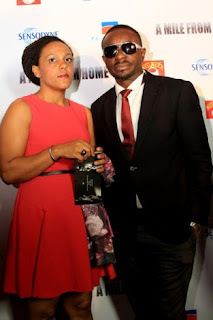 Popular Nollywood actor, Emeka Ike is troubled as his wife of many years, Emma files for divorce over domestic violence. Emma finally filed for divorce from her husband of 12 years, due to the complaint that the actor could not stop battering her and constantly calls her a witch. “It was when my husband beat me mercilessly I believed that people truly saw stars whenever they were unconscious. It was my brother who took me to the hospital where I spent two months. There was also a day I was feeding our last child tea, my husband, out of anger took the tea and poured it on my head”. Emma also added that, each time they have any misunderstanding her husband does not hesitate to call me a witch. According to Naijagists, she revealed that, “Each time we fight, he calls me a witch saying whenever he intends to start a project and he informs me it eventually fails. He also said if he hadn’t married me, I would have become a prostitute. Since I left, he doesn’t allow me speak to my kids and even when I was with him, he leaves home for months on the pretext of different appointments. I can’t face all this anymore. I need help”.However, the divorce case has been adjourned till Wednesday, July 22, 2015. Before now, it was rumoured that Emeka Ike left his wife for an Abuja-based sugar mummy.